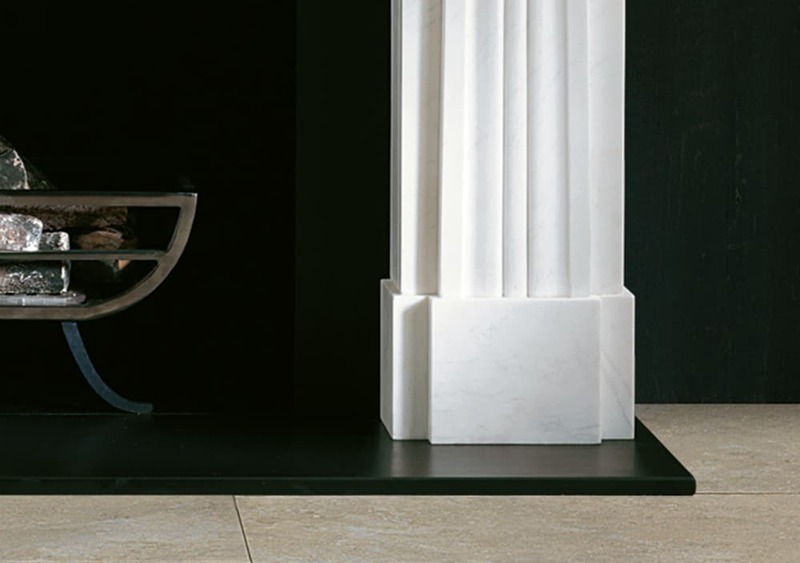 The Acanthus fireplace is another popular recency design. 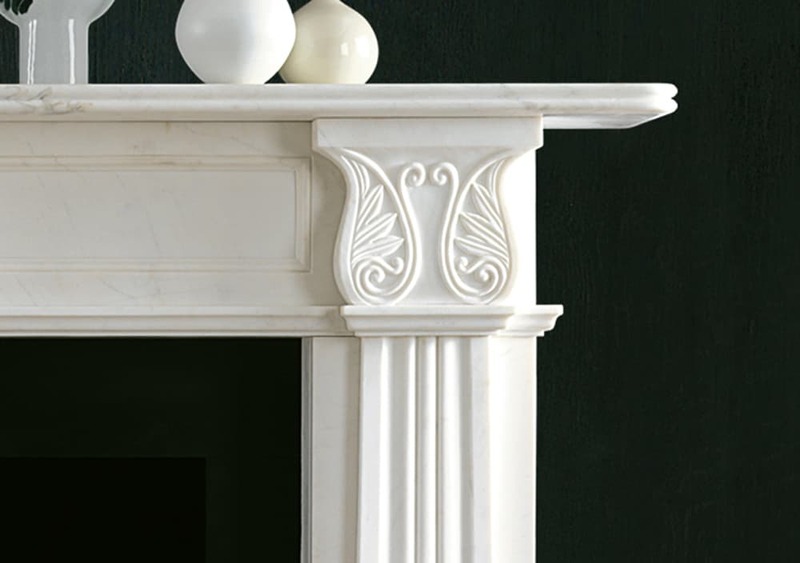 This fireplace is carved in statuary marble with classic tapering jambs, finishing with a lovely carved acanthus leaf on the corner block. 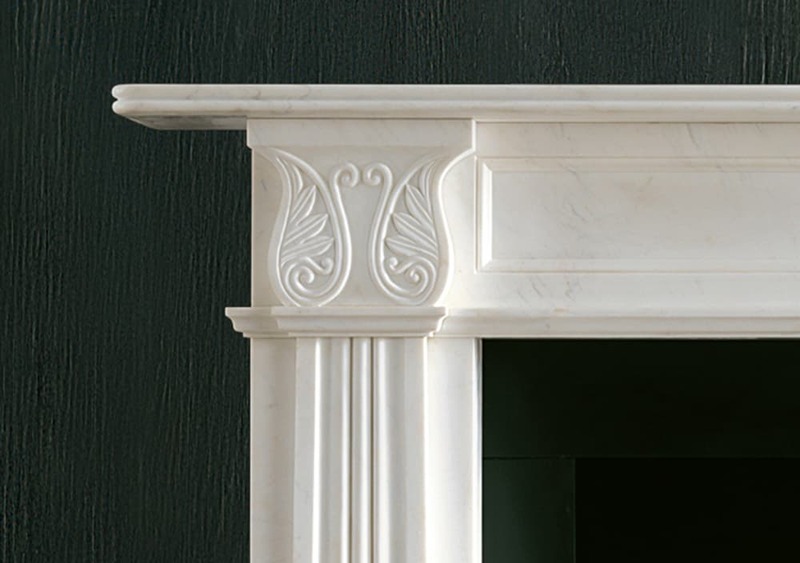 It also has a fielded frieze panel surmounted by a reeded mantle shelf. 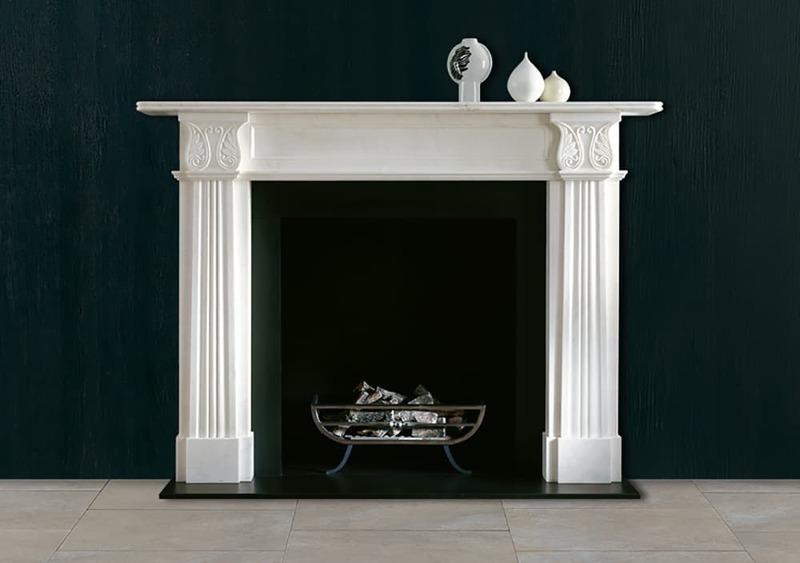 This graceful design would fit in any classic themed interiors, while fitting in well with the era it isn’t too conspicuous, making it a perfect focal point to any room.